Saturday morning, Long Beach BMW was hosting a breakfast. Jason and Whitney joined Gary in the MotoVentures booth, at the dealership. That afternoon they relocated the booth to the convention center in Ontario, CA for the final round of the 2016 Endurocross series and watched Cody Webb lead the entire race for the win! On Sunday Jason taught a Level 1 class and Whitney taught a Level 2 class at the beautiful, 350 acre MotoVentures facility near Temecula, Ca. Monday was Fun Day! 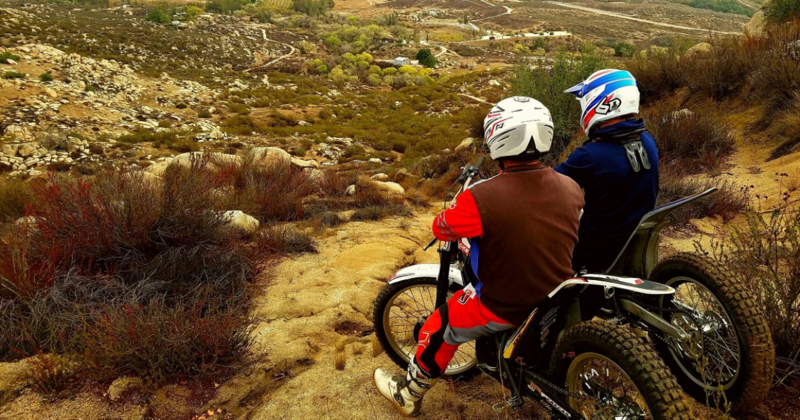 After a rare, heavy rain in Southern California, what do all dirty dirt bikers want to do? Go riding of course! They spent the day on trials bikes learning the capabilities of the bikes and themselves.